The Good: Decent construction, no glue marks. The Bad: Creasing in foamposite material. The Ugly: Wrong heel shape, tongue AIR logo outline, Plastic Carbon Fiber, Heel swoosh crooked, sole too translucent, toe box too long. 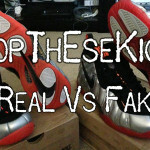 Conclusion: For the most part, replica foamposites do not do their authentic counterparts justice. The quality of the shoe was ok, no paint marks, or glue smell. 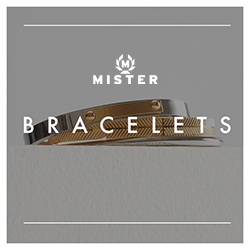 RepDream (aka replover) seems to ship decent goods, but still fake. In fact the foamposite is so far from the mark I can’t bring myself to call it a replica. It’s down right fake. The foamposite material is way too soft and easily creases. The weight difference was 10 ounces, close to a pound apart. You notice it too, as the materials just don’t feel as good as they should. For fake foamposites they’re exactly what you’d expect. With the recent restocks, if you’re waiting on some crimson foamposites, keep your eye on our restock page and give these guys a pass. Unfortunately, there are no inexpensive places to buy foams. Getting them on launch or restock is the only way to get them at retail. Ebay will always be a gamble, you might get fakes. 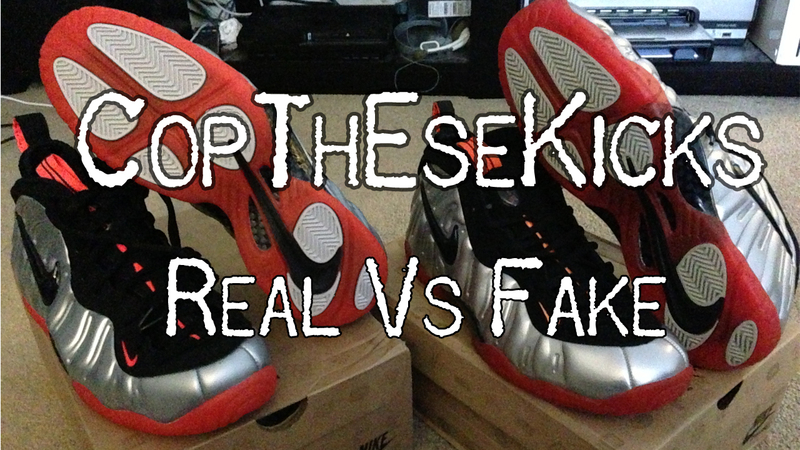 Any website selling foams below $250 will also always be fake. Sorry man.